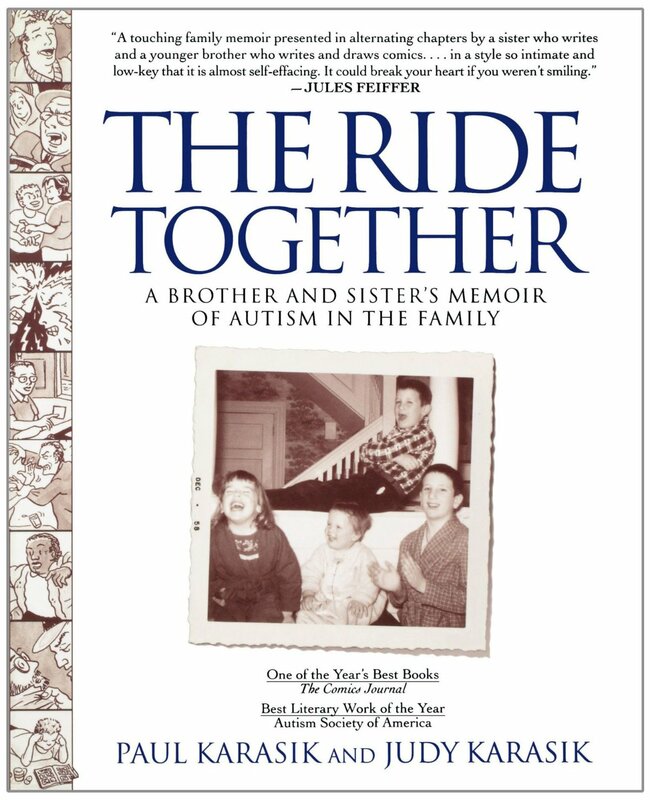 The Ride Together by Paul Karasik and Judy Karasik. This is a story written by two siblings about an older brother. The book is written in both comics and words. The older brother is autistic, and the two younger children write on how a family works. Pp. 200.